I cannot call myself a nomad anymore since I moved to Porto more than 3 years ago. I have lived in most of the neighbourhoods and went through all the bureaucratic processes and besides mastering Portuguese I have even gained the local “Falar a Porto” accent. This has been the longest time I have stayed in one place, even more than Riga (capital of Latvia). So either you are looking for authentic travel tips to visit Porto or an objective opinion to prepare for a long-term stay, you have found the right blogger. I love Porto, the town is amazing but sometimes you just want to get out of the crowd and get some fresh air. I have spent countless afternoons in the places listed below. Perfect for the nature lovers and someone who simply enjoys being outdoors. This is a popular afternoon spot and actually one of the first places I visited back in 2014. It has a very central location, close to City Court and Cordoaria garden. Bring some rug to lay on the ground, bring your own snacks and drinks or grab some beer and tremoços (traditional snack) in the bar near-by and enjoy one of the best views of Porto. It tends to get crowded, in that case, you move to Virtudes gardens with just as spectacular views and plenty of space to have a picnic, play sports or have a nap. In summer you can get lucky and even have some live music for free. The garden closes at 7 pm. Parque de Cidade is the biggest garden in Porto covering 83 hectares and offers loads of different attractions: a jogging track, a duck lake, volleyball field, football fields, romantic benches, lawns all connected by dust paths also good for cycling since it connects directly to Matosinhos beach. There are loads to choose from and it’s also a great place to set out a rug and have a picnic. It has many entrances from different parts of the city. The easiest way to get there would be either taking one of the buses from Casa da Musica or entering the Park from Matosinhos beach next to Castelo do Queijo. Since I work right in the heart of Foz, I am privileged to be here every day. While still being a part of the city Foz is the most sophisticated district of Porto. It is considered “the rich” part of the town with the most captivating sunsets, multitude of ocean-front bars, cafes, clubs, beautiful gardens, a long promenade and plenty of urban beaches. You may begin a walk by the waterfront at Jardim do Passeio Alegre on Avenida D. Carlos I and then continue along the promanade. Most of the beaches here are dotted with outcrops of rocks, so be careful if you want to swim in the low season. Water is freezing cold and there is no safeguard! After the 3km (just under 2 miles) of beach, you reach Castelo do Queijo, a fortress dating from 1661. It is reached by a drawbridge, and cannon inside point towards the sea. From the fortress you can walk to the enormous Parque da Cidade, the previously mentioned park. Book your flight to Porto like I do it! If you love photography, don´t miss the Lighthouse during the winter season with especially big waves! You may catch a shot like the one below. To reach Foz take bus number 500 from the center of the city (there is a stop next to São Bento Station) or numbers 202 and 204 from the Boavista roundabout by Casa da Musica. This is not that kind of a place you will find in other bloggers lists. It is not a popular spot even between the locals except the midsummer celebration. But I find it a great place for photography. I mean – look at that sunset! See more shots from Porto. This is one of those places that you won´t bump into tourists. Unlike the rest of the Porto, Fontainhas managed to maintain its authentic character and spirit. I love its picturesque scenery and I think you will as well. Read more about it here. It is pretty central and easy reach on foor. It´s a short distance away from Batalha squere. One more “postcardy” viewpoint to hang out, this time on the other side of the river Douro. Simply cross the upper deck of Dom Luis I bridge and enjoy the view. Porto is such a small city that simply by crossing the river you are in a different municipality. The relationship between Vila Nova de Gaia and Porto you could compare with sibling rivalry – always competing with one another, but still being connected. My friends from Porto say that the best part of Gaia is the view to Porto. Funny hah! This list was created based on my friends’ opinions and personal experience. So I hope I gave you some fresh ideas and wish you a pleasant stay in Porto. Are you looking for a tour in Porto? 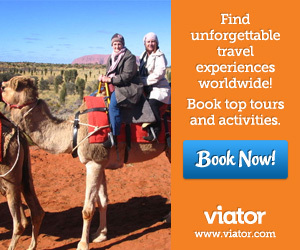 Viator is a good place to search, many tours, with reviews and detailed descriptions. Get what you expected! Buy one of my Urban Sketches from Porto! Click on the photo or click the donate button below. Any given support will be used to carry on writing and maintain this website. Buy one of my Sketches! If you really liked this post you might also want to read about my life in Porto and adventures in Azores.